Latest news from the IIHA Ladies Development Officer in Finland. 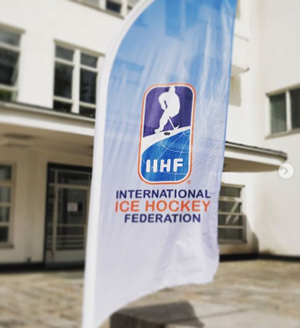 Covering vital areas of successful programming and assisting the National Associations to produce tailor made plans (addressing their specific needs) are some of the main objectives of the International Ice Hockey Federation (IIHF) Women's Leadership Program. Day #1 Sharing our reality with others. Very interesting (and comforting) to see that other countries face almost the same challenges as the Irish Ice Hockey Association when trying to develop the female game. We are DEFINITELY not alone in our battle to grow the women's game! Check out our posts on our Female Hockey Instagram page.